[SatNews] SES ASTRA, an SES company (Euronext Paris and Luxembourg Stock Exchange: SESG), has entered into a distribution agreement with the leading Polish data network operator NASK to offer its satellite-based broadband service ASTRA2Connect to business customers in the Polish market — the service is available immediately. 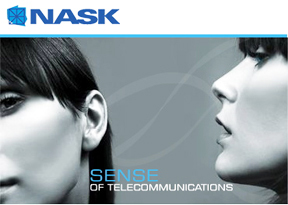 As a comprehensive IT communications provider for the business market, NASK offers broadband internet access, corporate networks, data transmission, hosting, videoconferences as well as network security services. With ASTRA2Connect, the company will expand its portfolio of services to provide existing and new business customers with satellite based broadband connectivity at low cost. Customers will benefit from a range of different service packages with speeds of up to 4Mbit/s, also in remote regions where terrestrial broadband networks are limited or non-existent. 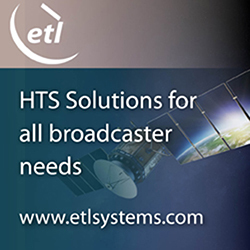 With more than 60,000 end users, ASTRA2Connect is the most successful satellite broadband service in Europe. Offering always-on and interactive broadband internet access for flat service fees, ASTRA2Connect is immediately available anywhere within the footprint of the satellite. The customer premises equipment — a modem and satellite dish — is delivered with a tool for easy self-installation. ASTRA2Connect is marketed via wholesalers and internet service providers to the residential, industrial and maritime markets. Most recently, the service was expanded to Africa and the Middle East.